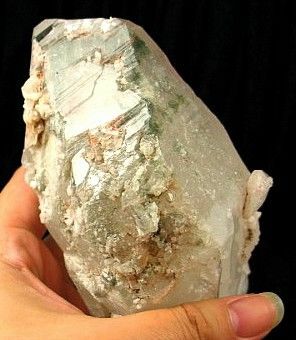 This crystal is such a beautiful and graceful spirit. 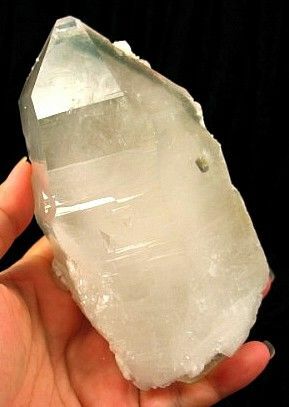 Her interior is misty white quartz that gives her an ethereal glow. One side is matte, and a little rough to the touch but is a delight to explore. There is a lot to explore on her! Barnacle crystals cover the surface glittering like freshly fallen snow. This side a progression of overlays working to evolve from each burst of growth and may eventually envelope the baby crystals on her exterior. The opposite side is silky in comparison, with light glyphs. The termination has a bright clarity giving you a glimpse into the interior that cannot be seen from the opposite side. 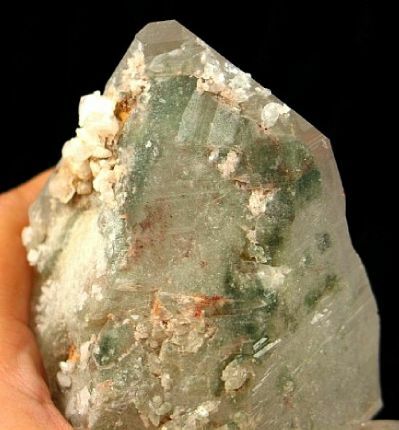 It gives you a fantastic view of the dense bright green chlorite phantoms. Shimmering rainbows can be seen from numerous planes within dancing in the light. You could spend days examining the complexities of the section termination. Self-healing has created icy peaks and valleys that rise and fall. Complex etchings arise unexpectedly filled with stories and lessons of the past. 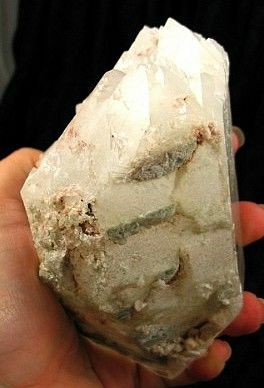 Nestled into her interior are a couple of golden inclusion of anatase, a rare form of titanium oxide in the same family as rutile. This is a beautiful gentle spirit with amazing, complex energies. Sit with her quietly and you may just feel yourself sinking back into your body. Stress and frantic activity in our lives can cause you to become unfocused and ungrounded. It might make you feel a little antsy at first as it feels unusual to really be a part of your body. Go with the flow and feel your body relax, feeling grounded and truly present. This is a good exercise to do at night and will assist you to sleep by quieting the mind and helping you to process the activities of the day. She helps you overcome resistance to change and helps you work through life's changes and challenges with greater ease. Her energies help you to heal your emotional bodies too working you through stages of healing and growth. She is a diverse companion who will work with you on many levels, join her for a fantastic journey of healing and self-discovery. 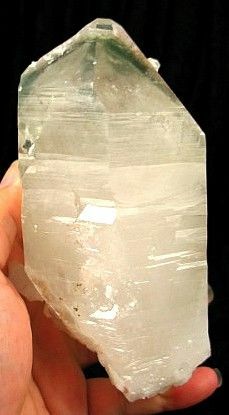 In our travels, we came across a batch of beautiful Himalayan quartz that comes from the Bashir mine in India from the Shiva Himal region. These beautiful crystals and clusters are hand mined at altitudes up to 15,000 ft above sea level (that's almost 3 miles above sea level!). 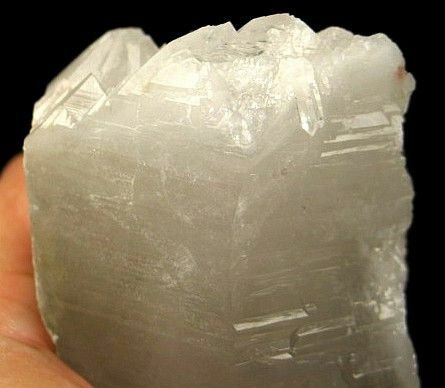 They have the wonderful high vibrational energy that the Himalayan crystals are becoming well known for. They sing and chant in tones that only soothes the soul and moves you towards a higher vibrational plane. 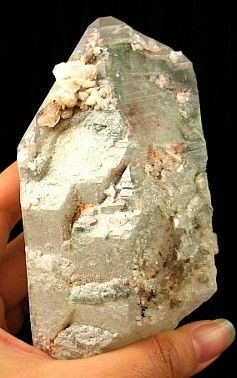 They have a unique duality to their energy being of the earth and sky due to the high altitudes that they are mined at, giving you a sense of comfort and grounding giving you the freedom to explore the higher vibrational planes and are wonderful meditation companions. 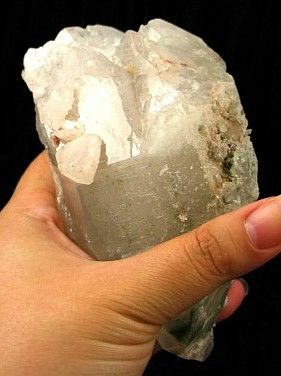 A crystal is considered self healed when a partial piece of crystal or a complete crystal has sustained damage, yet continues to grow afterwards. 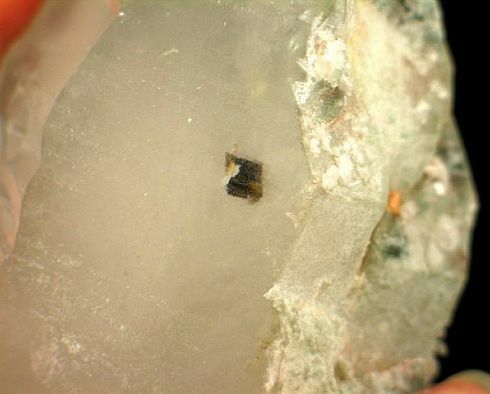 Self-healing comes in many guises, usually where a crystal has been severed from its original growing condition, but can also occur where crystals have been bumped and bruised too. 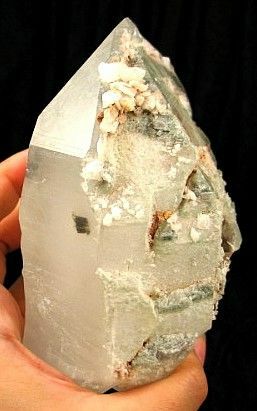 A self-healed crystal can be identified by the intricate etchings and/or multiple faces which emerge from the damaged areas. These crystals aid in any type of self-healing—physical, emotional, mental, or spiritual. 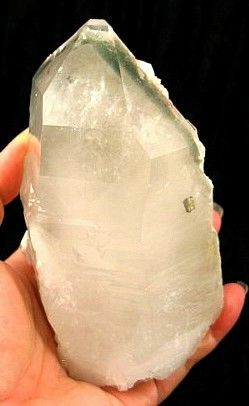 Self-Healed crystals are highly compassionate with exceptional support for those working to overcome strong emotional issues or traumas. In addition they provide support when working to let go of negative addictions, be it a behavior, a person, or belief, food or chemical. A crystal with a point at each end is called double terminated (DT). It is believed that they have the ability to receive or transmit energy from both ends. They are used for alignment, patience, perseverance, protection, dreaming, and astral projection. 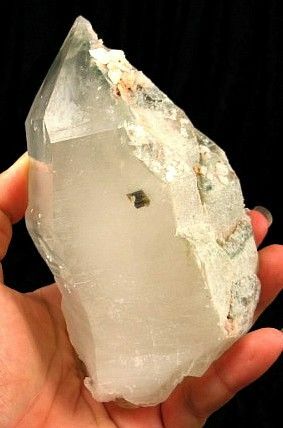 Double terminated crystals strengthen energy flow, and are especially useful when you need to share or exchange energy between you and another person. 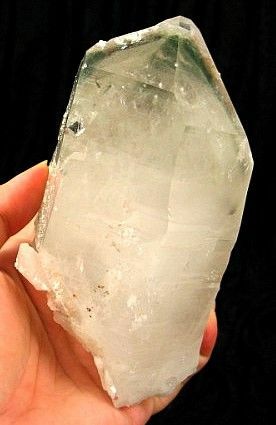 Double terminated crystals are very important to people doing healing work for themselves or others. A barnacle crystal is a crystal covered or partially covered with smaller crystals. It is believed the Barnacle crystal will help stimulate family or group cooperation. It’s also a good companion when having lost a loved one. A crystal that has pyramidal or triangular shaped symbols that are either engraved into or are raised on one or more of a crystal faces is called a Record Keeper (RK) or Recorder. These symbols are not easily seen and usually need to be searched out by looking at the crystal in a bright light while closely examining the faces. It is believed that the Record Keeper is one of the most sacred crystals because it holds the wisdom and knowledge of the universe. When a person is properly attuned to a Record Keeper, this knowledge is readily made available. This knowledge is ancient knowledge and contains profound secrets and esoteric knowledge of the whole of the Higher Consciousness. It takes an open mind and a pure heart to access this knowledge. 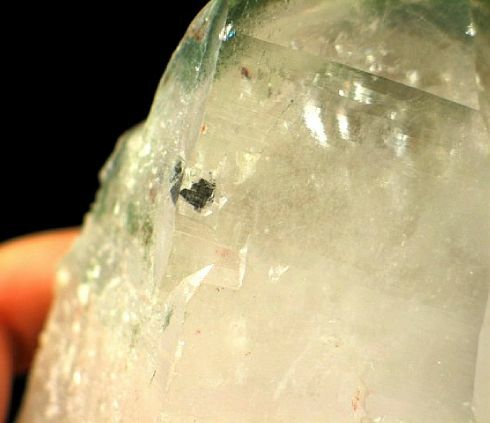 A crystal with a single termination at one end and multiple terminations at the other end is called an alien or extra-terrestrial crystal. The multiple terminations are usually caused by the healing of a broken point. 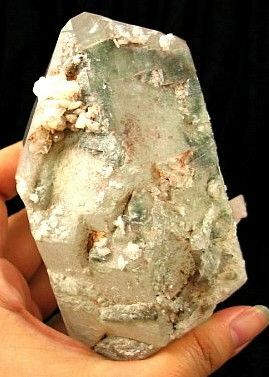 It is believed this crystal will help channel space beings, celestial beings, and guardian angels. 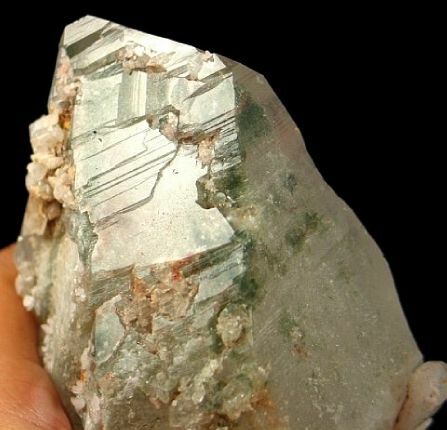 The term chlorite actually encompasses a wide variety of minerals, which interestingly does not usually include chlorine as you might think. It is in the silicate family and is associated with clay. 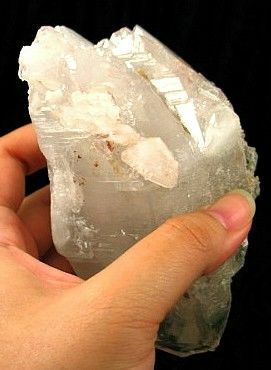 It is known for its beautiful formations within crystals, usually as phantoms and often bright green in color. 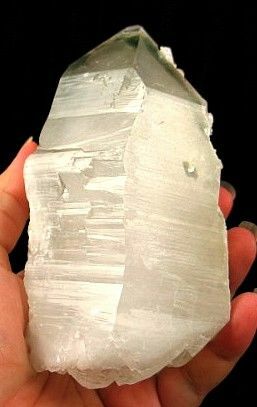 Chlorite can appear red, yellow, white, lavender and black. Sometimes it forms in small crystals and give the appearance of moss within a crystal. 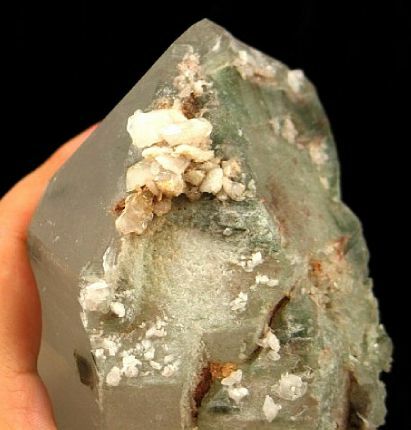 Chlorite inclusions give crystals a has strong anti cancer properties. 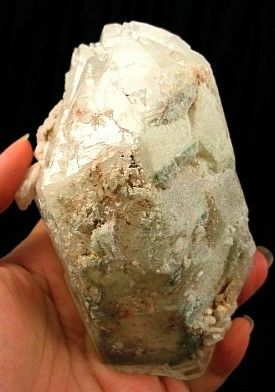 It is a very good crystal for physical regeneration as it helps us absorb and use the nutrients we take in. 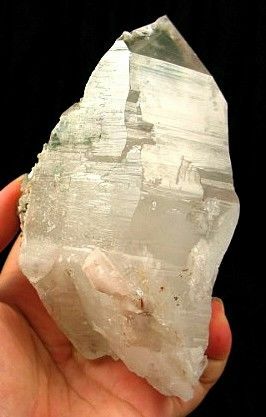 Chlorite enables our body to receive and use more efficiently the energy of the quartz while quartz itself amplifies the energy of the chlorite. 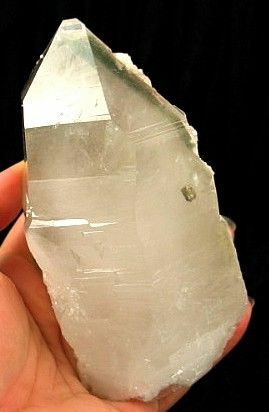 Chlorite included quartz helps you to work through emotional issues and to discard thought of self-judgment and harsh self- criticism.